Sr Mina Kwon from Korea spoke specifically about women in ministry and the need for them to be treated with the same respect as men. She said that religious women and lay people must take on the role of journeying with young people more and more. She said that sometimes, in ministry, religious women are excluded from pastoral care and are not give equal responsibility and decision-making power. Bishops Barron and de Jong said that although women cannot vote at the Synod, because it is a Synod of bishops, they both feel that women have been listened to very carefully and that what they say will find its way into the final document of the Synod. Sr Kwon said that young people are sensitive to inequality and exclusion; they want collaboration and equality. Bishop Barron said that one important thing that struck him was that young people were really asking for spiritual mentorship. They want a church that is maternal and paternal. Many young people come from unstable family backgrounds and so they need to be mentored, nurtured and taught. 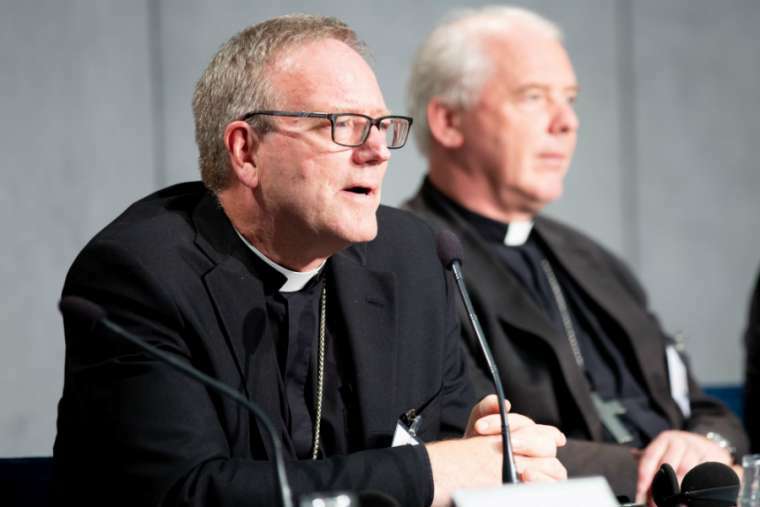 Bishop Barron also said that close to his heart is a very challenging question: How do we reach the “nones” – those whom the Church has no contact with, those who have no religious foundation. He said that the Church has to find ways of reaching them. This is a challenge but, he said, we also have new means, the world of social media, to help us achieve this.